How much do anda think Damon loves Elena? What is your reaction on Ian Somerhalder's remark "Damon and Elena is not meant to be." Fav out of the 2? Best 3 words to describe Damon? What would anda do if anda were in Jeremy's place and seeing your sister making out with another person who is not her boyfriend? Not that I'm complaining Damon is hot. Am I the only one that thinks we need a new main icon? Why do anda want Damon and Elena together? If you’re a forever stuck fan in The Vampire Diaries universe, anda may have oleh now noticed the inevitable ever lasting debat between the two sides of a very different coin-Stelena and Delena. While it’s okay to have an opinion, pick sides and be rational about it, it’s kind of a turn down to defy all logic just to prove your point. Here’s my attempt to NOT do the same. I know there is a lot of talk about Delena; much of it negative. But lets take a look back here, look at Damon and Delena and relive a little journey of pure epic proportions. bare with me, it's a long one. I needed to get some thoughts out and it ended up SO MUCH LONGER than i was aiming for. Setting the scene: Damon and Elena are at a Founder’s hari pre-party, where Stefan is drinking heavily, in an attempt to dull his hunger for human blood. Elena expresses her concerns to Damon as the two sit selanjutnya to one another at the bar. 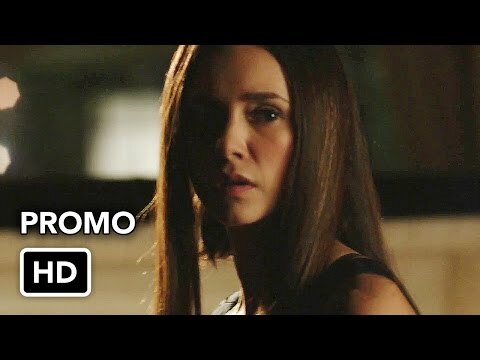 But Damon is lebih concerned about Elena’s brother, Jeremy, who has been asking pertanyaan about Vicki Donovan’s death. It’s a choice that heroines in teen dramas have had to grapple with for ages: the brooding and sensitive good boy versus the unrepentant and dangerous bad one. And nowhere on televisi is that eternal pertanyaan lebih fully explored than on the CW’s The Vampire Diaries, where good can be bad . . .
. . . and bad can be deliciously GOOD! “Stefan?” I asked as I opened the boarding house front door. Nobody answered. “Stefan, anda there?” I asked again, but still received no answer. Suddenly I felt someone stroking my hair. I whirled around, but saw no one there. I turned back around, I froze. Damon was standing right in front of me, our clothes nearly touching. He was staring right into my eyes, a small smirk lingering on his lips. I blushed deeply. What Stefan had told Lexi had melted away some of the anger that I felt towards him. I leant meneruskan, ke depan and placed my hand on his knee. Damon shuffled uncomfortably on the arm of the chair. Stefan looked at the floor guiltily. “Go on Stefan, explain yourself,” Damon pressed. Stefan looked up at him angrily. The Vampire Diaries' Damon (Ian Somerhalder) and Elena (Nina Dobrev) have officially been crowned the small screen's Best Couple of All Time! a reply was made to the forum post: Countdown to 900 Fans! Damon Salvatore loved which girl when he was human?